lover to that lover, from that lover to this. it never did like strangers. and shouting at each other. the way they said their r’s. and snapping at their boots. and took my mother away. taking long naps in the vast pastures. 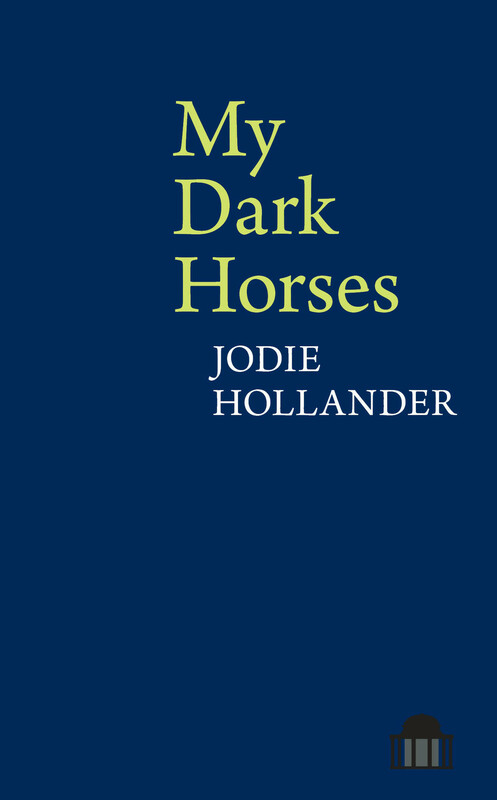 American poet Jodie Hollander was raised in a family of classical musicians. She studied poetry in England, and her work has been published in journals such as The Poetry Review, PN Review, The Dark Horse, The Rialto, Verse Daily, The New Criterion, The Manchester Review, Australia’s Best Poems of 2011, and Australia’s Best Poems of 2015. Her debut pamphlet, The Humane Society, was released with tall-lighthouse in 2012; her full-length collection, My Dark Horses, is published with Liverpool University Press and Oxford University Press. Hollander is the recipient of a Fulbright Fellowship in South Africa, a Hawthornden Fellowship, a National Endowment for the Humanities Grant in Italy, and a MacDowell Colony Fellowship. She currently lives in Colorado.